This week we will be covering the first 4 sections of Chapter 5 of Christopher Southgate’s The Groaning of Creation. In Section 5.1, Keith Ward wrote, “If there is any sentient creature which suffers pain, that being… must find that pain transfigured by a greater joy.” Furthermore, he stated, “Immortality, for animals as well as humans, is a necessary condition of any acceptable theodicy.” Do you agree that Jesus’ redemption or God’s redemptive purposes must include animals or all other non-human creatures that can experience pain? Is immortality for animals a “necessary condition”? Does God only care about human beings? 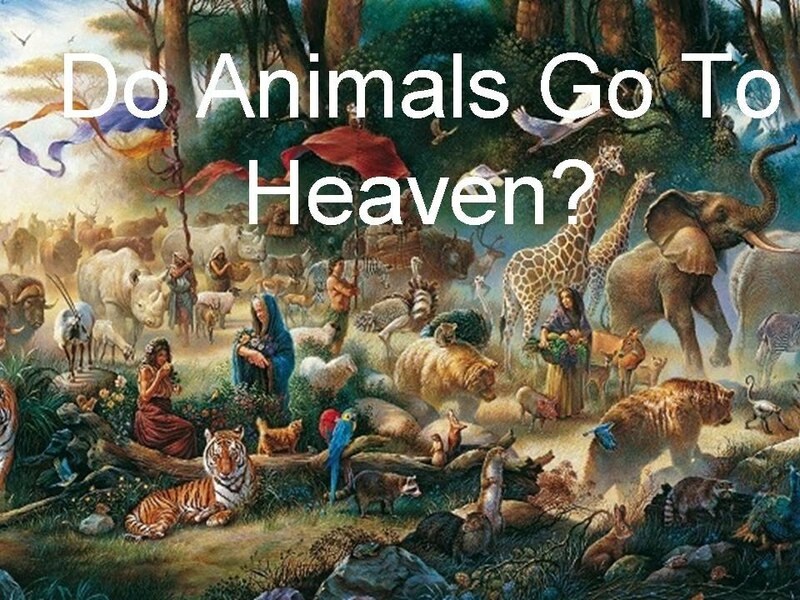 Why don’t most sermons or works by theologians ever mention an afterlife for animals? Is it silly and a waste of time, or is it a serious issue that must be considered? Why or why not? In Section 5.2, summarize Robert J. Russell’s view of Jesus’ Resurrection “as an objective transformation of matter.” Does this view contradict his previous views of “non-interventionist objective divine action”? Why or why not? Also, consider Wolfhart Pannenberg’s view that the full redemption and only good that will come to all evolutionary creation “may be fully realized only in the eschatological future.” Do you believe, like Russell does, that “we shall see the full goodness of creation only after its long groaning”? Or can this goodness be realized here and now, or in the foreseeable future with rapid technological and medical advances? In Section 5.2, summarize John Polkinghorne’s view of a “transformed cosmos.” How does he view the human body and soul as? What will matter be like after cosmic resurrection? Do you believe that the new creation will be recycled from the information and bits of the old universe, or will it be absolutely new and beyond the physical laws we understand them to be now? Would you be OK with the new creation “persisting only in the memory of God” or must there be another physical or tangible reality at the end? Why or why not? In Section 5.3, Southgate outlines three motives for believing that the new cosmos would not just exclusively center around humanity. Which of the three motives he gives is most compelling to you and why? Which one or ones, if any, are you lease convinced of and why? In Section 5.4, summarize Holmes Rolston’s position that creation is “continually being redeemed.” Do you agree with his take on natural redemption? Why or why not? Or do you agree with Jurgen Moltmann’s conviction that “If Christ is to be thought of in conjunction with evolution, he must become evolution’s redeemer”? Do you agree with Southgate that Christian doctrine seems to require that animals be part of the cosmic renewal? Why or why not? In Section 5.4, do you agree with Polkinhorne’s limitations on individual animals in the eschatological sphere, that “They will be there as types rather than as individuals, pets being an arguable exception”? Do you believe that God will universally redeem all individual creatures or just collective “types” depending on each species? For example, will every duck that has every lived be redeemed or is there a universal duck “type” that will be redeemed in the new cosmos. If individual animals can experience “selving” or self-transcendence, as Southgate seems to suggest, then is it likely that they will experience individual redemption and fulfillment if their lives were full of “frustration, disease, and famine, premature and painful death”? Or is this transcendence only a human quality? In Section 5.4, do you believe that Moltmann is right in saying that “If we were to surrender hope for as much as one single creature, for us God would not be God”? What is Moltmann saying here about God’s being and his relationship with nature? What do you make of Southgate’s statement for animals that “if the new life is only a compensation for previous lack of fulfillment, such an existence need be an eternal one, or whether after a period of struggle-free flourishing a redeemed animal life might fade away?” Must their redeemed life be an eternal one of non-suffering and fulfillment, or can it be a temporary thing and then afterwards they can slip away into non-existence or annihilation? Would that cheapen the eschatological redemption if their redemption was only temporary? If all other individual creatures are present in the redeemed cosmos, will that include all extinct species, like dinosaurs, as well? What about individual plants, trees, and vegetation? Aren’t those living things part of God’s creation as well? Will there be forests and flowers in the new creation? By Project Augustine in Science and theology on July 10, 2017 .